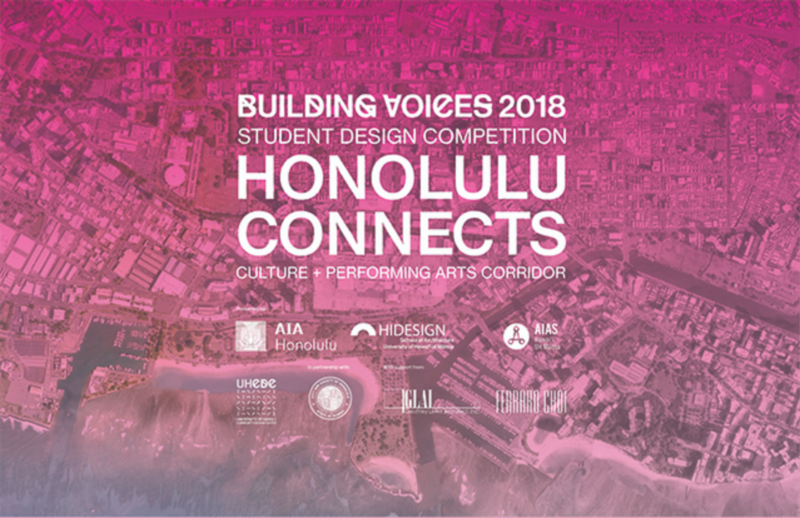 Honolulu Connects is a single-stage student design competition seeking innovative design solutions that address Hawaii’s unique geographic location, cultural richness, global visibility, and ecological diversity. The challenge is to conceptualize and propose designs for three distinct locations in Thomas Square, Hawaii’s oldest public urban park. Take a peek at the five reasons we think YOU should be submitting to this competition. Seeking multiple solutions to a problem is something that every student is faced with. The challenge of Honolulu Connects is its unique location, local culture, and indigenous culture. These three aspects provide an opportunity for students to look at design through a distinct cultural lens. Honolulu Connects is a great opportunity to practice real design outside the confines of a studio. Its tailored as a professional project while allowing the student the opportunity to explore as much creativity as they please. Participating in Honolulu Connects not only allows you to think about real design but strengthens your portfolio and resume by showcasing work done outside of a studio setting. The chosen design work will be showcased during the AIA Northwest Regional Design Symposium. This is a three-day event that is taking place in Honolulu this year. There will be professionals from various states attending the Symposium giving students a unique opportunity to present their work. Who doesn’t want to come to Hawaii? Although an all-expenses-paid vacation isn’t included as a prize, it is highly encouraged that the winning student and/or group attend all the events of the Symposium happening from November 13th-15th. This will allow students to take full advantage of meeting the professionals in attendance, the parties invested in the competition, and of course our local chapter, AIAS Hawaii! Find more information on how to enter here.